Novaturas, the largest tour operator in the Baltics, listed on the Warsaw Stock Exchange and Nasdaq in Vilnius, increased its consolidated revenue from sales in the first nine months of 2018 by 30% y/y to EUR 140.2 million. During this period, the Group served 243.6 thousand customers, up by 32% on the previous year and more than in the entire 2017 (233.5 thousand customers). Novaturas Group, traded on the Warsaw Stock Exchange and the Nasdaq in Vilnius since March this year, recorded 43% y/y growth in revenue in the first half of 2018, to EUR 80.2 million, strengthening its position as the largest tour operator in the Baltic countries. The Group’s EBITDA after this year’s first six months reached nearly EUR 5.9 million, up by almost 36% on the preceding year, while net profit came in at EUR 4.4 million, denoting 24% growth from the same period of 2017. Novaturas, the largest tour operator in the Baltics, with shares traded on the Warsaw Stock Exchange and Nasdaq in Vilnius since March this year, recorded 43% y/y revenue growth in the first half of 2018 to EUR 80.2 million. From the beginning of the year, Novaturas Group handled a total of 134.5 thousand clients, denoting 42% growth in comparison with the same period last year. 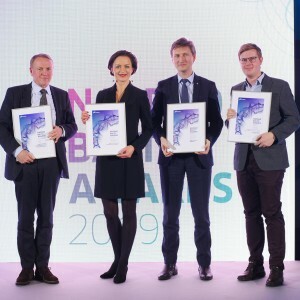 Enterprise Investors - the largest shareholder of Novaturas, the leading tour operator in the Baltics, has awarded the company as the Most Dynamic Company in Enterprise Investors’ portfolio, while Linas Aldonis, Novaturas’ CEO and chairman of the management board, has been recognized as The Manager of the Year. Novaturas, the largest tour operator in the Baltic states, listed on the Warsaw Stock Exchange and Nasdaq Vilnius since March this year, recorded 49% y/y growth in sales in the first quarter of 2018. The Group’s EBITDA reached EUR 1.3 million and net profit was over EUR 0.9 million, denoting in both instances growth by several times from the same period last year. Novaturas, the largest tour operator in the Baltic countries, will be dual-listed on the Warsaw Stock Exchange and Nasdaq Vilnius, starting from 21 March 2018. The Company’s capitalization according to the final share price in the IPO will reach EUR 82.0 million (approx. PLN 344.5 million). Novaturas, the largest tour operator in the Baltic countries, has decided to further increase its 2018 summer programme, i.e. by 30% compared to last year’s summer programme. 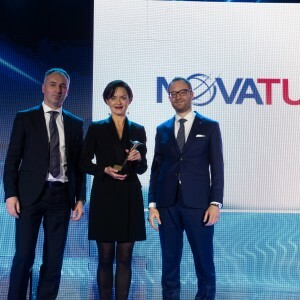 Novaturas, the largest tour operator in the Baltic countries, has published a prospectus prepared in connection with its initial public offering and intention to apply for the admission and introduction of its shares to trade on the Warsaw Stock Exchange and on Nasdaq Vilnius. The Bank of Lithuania on 23 February 2018 approved the prospectus of Novaturas, the largest tour operator in the Baltic countries, the shareholders of which intend to conduct a public offering and list its shares on the Warsaw Stock Exchange and Nasdaq Vilnius. The approved document has been notified to the Polish Financial Supervision Authority and to the Estonian Financial Supervision Authority. The Company plans to publish its prospectus on 26 February 2018. Increased popularity of travel creates an impression, that many Baltic States citizens celebrated New Year’s Eve resting after a travel, traveling or planning a new trip. Novaturas, the largest tour operator in the Baltics which plans to debut on stock exchanges in Warsaw and Vilnius in 2018, has noticed record-breaking customer activity compared to the previous year's results. 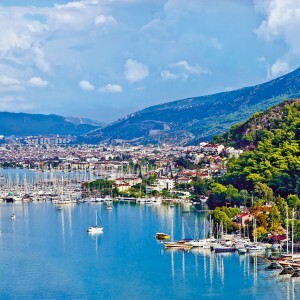 Early-bookings for the upcoming summer season have almost doubled.